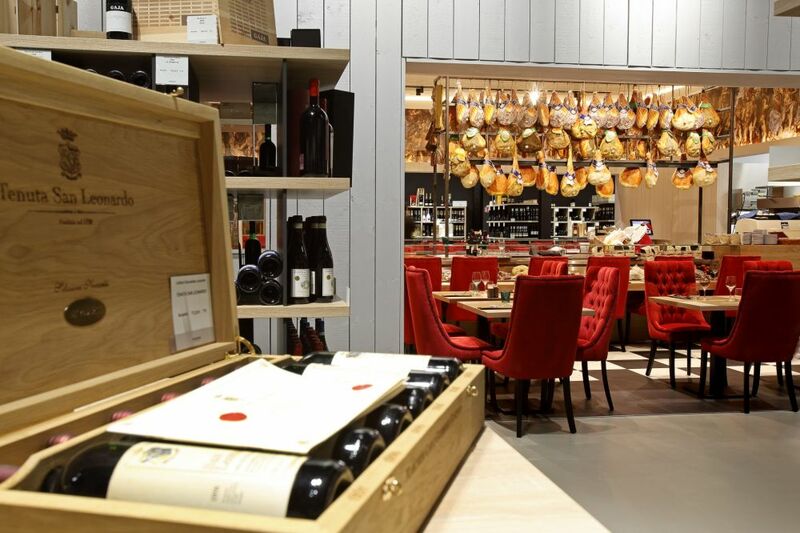 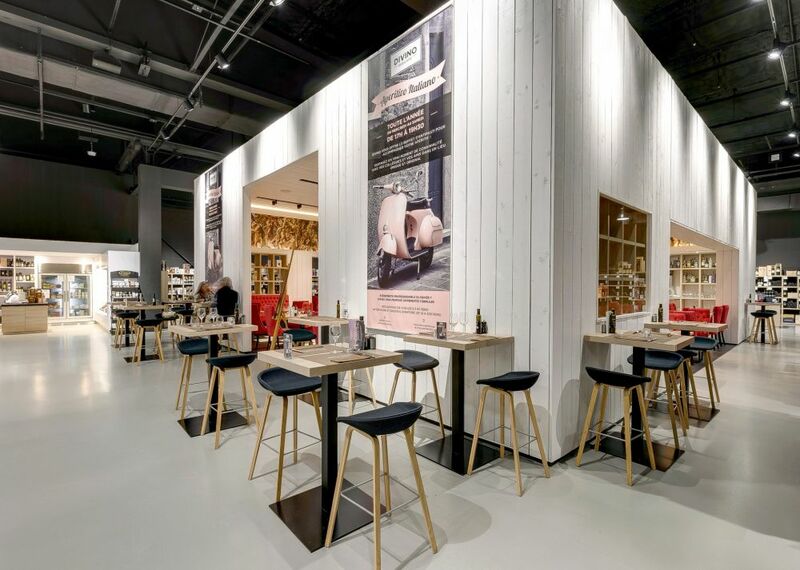 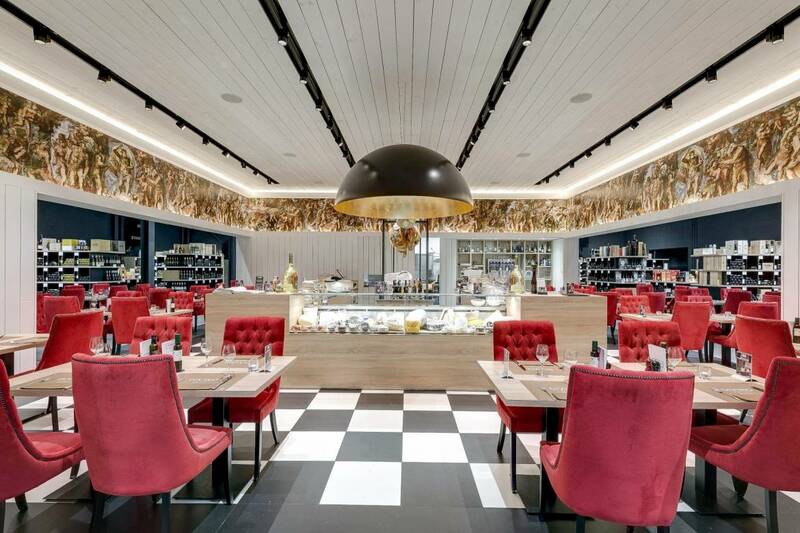 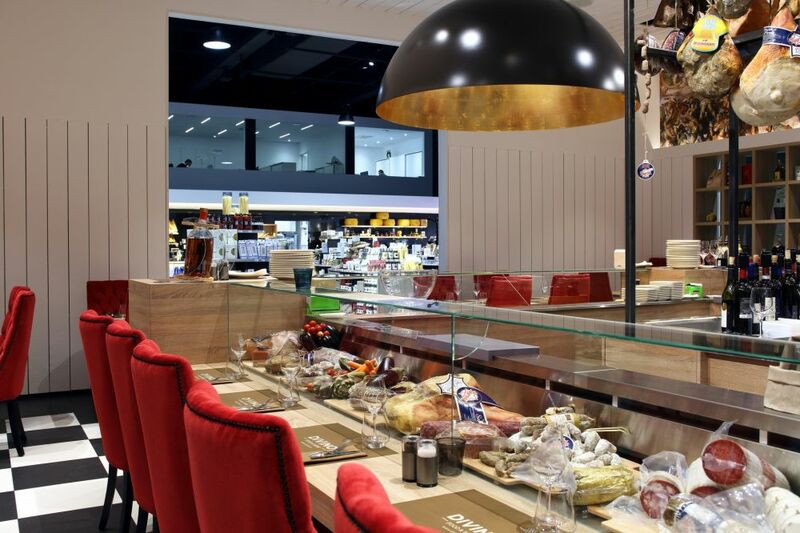 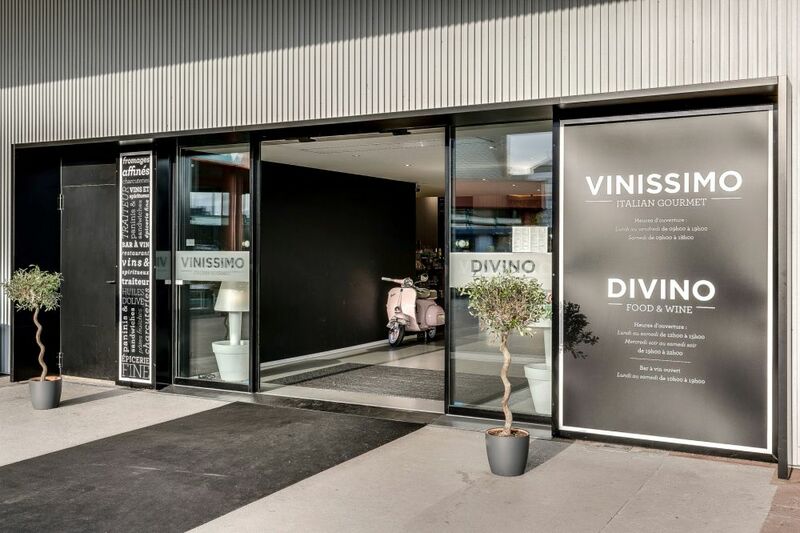 Located within the wine store VINISSIMO, "DIVINO" offers a new restoration concept: italian traditional meals, antipasti, various pasta plates but also boards of Italian high quality deli meats and cheeses. 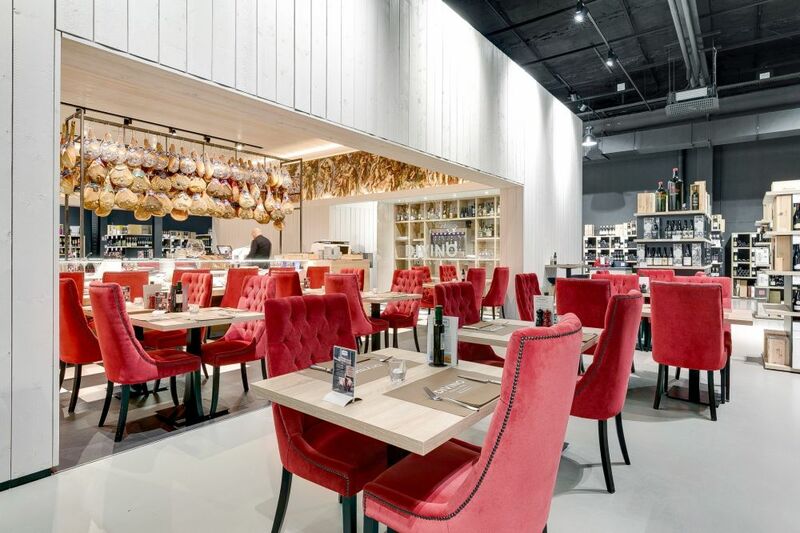 It is the Italian way of life. 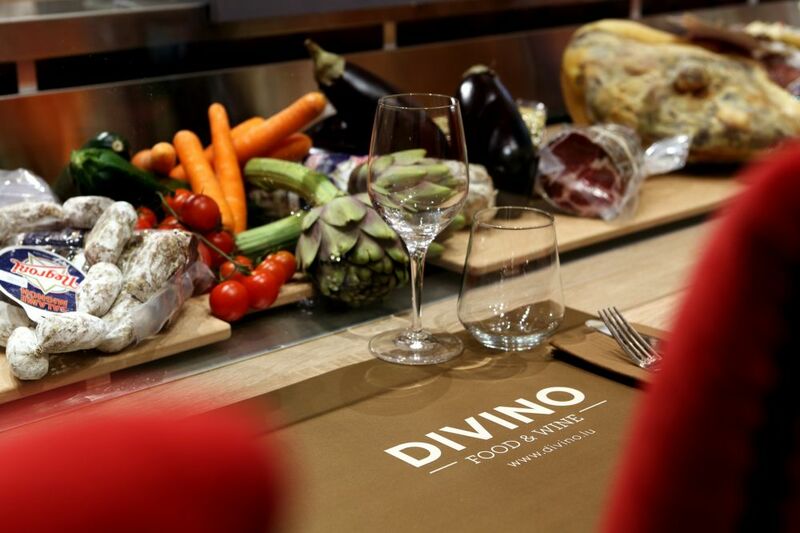 DIVINO suggests every day a diversified menu as well as suggestions of the market. 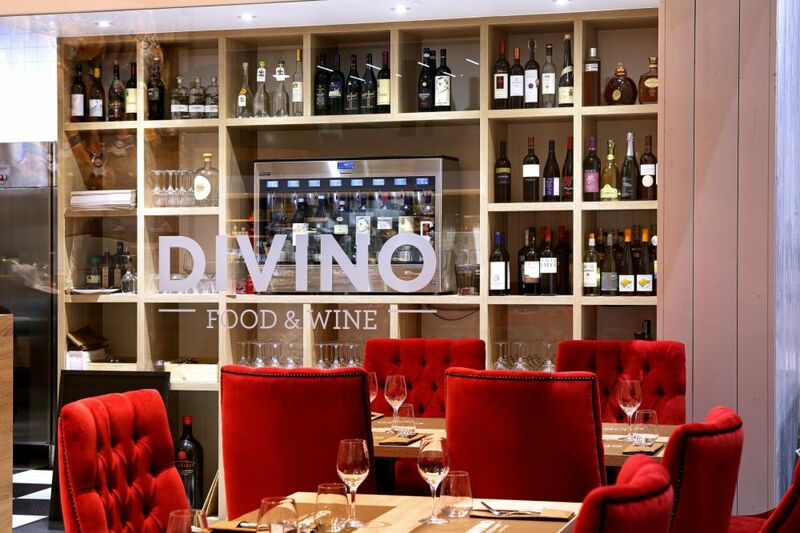 DIVINO also introduces a various italian wines’ list which evolves regularly according to the novelties and to the season. 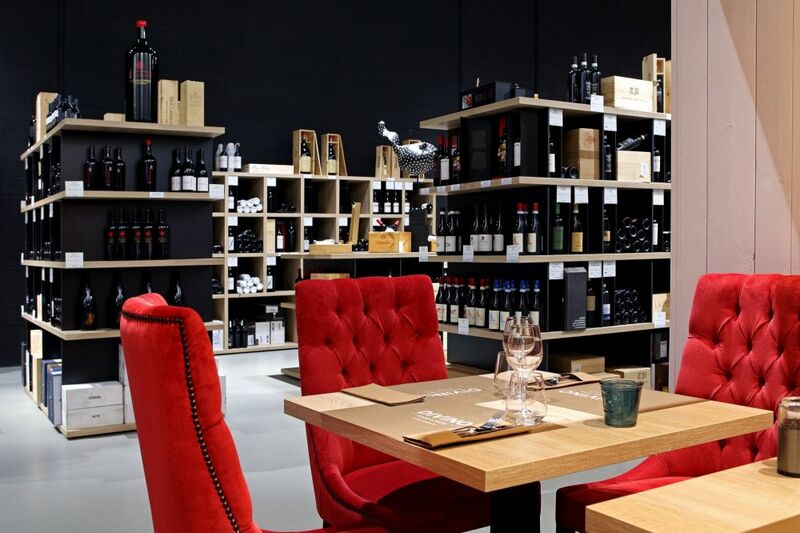 Wine professionnals offer exclusively some glasses of italian “Grand Crus” by "Enomatic". 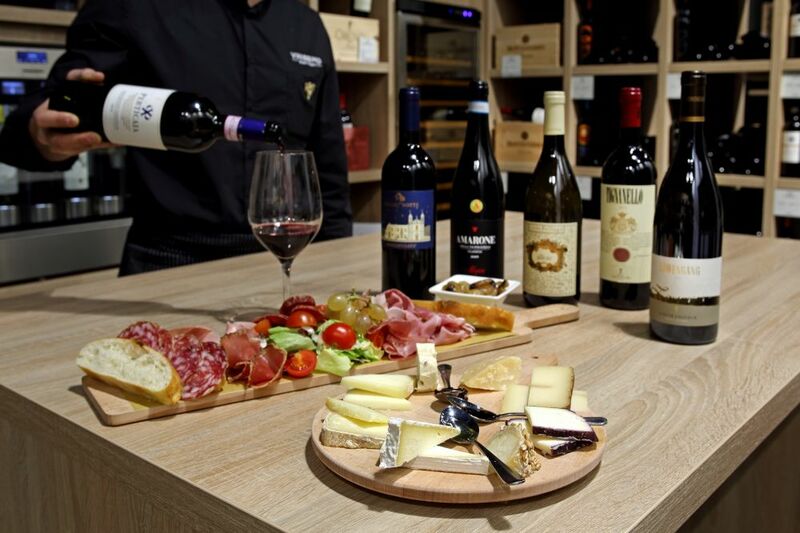 All the wines of VINISSIMO can be consumed during the meal with a small fee of 20-€ TTC by bottle what allows to taste great wines at very low prices.